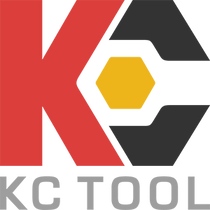 KC Tool has teamed up with Wiha to create a very well balanced slotted/phillips screwdriver set. Both sets have comfortable handle materials, using Wiha's PicoFinish on the precision screwdrivers and SoftFinish on your full sized screwdrivers. Exclusive KCT x Wiha Sticker 3.00" x 2.41"